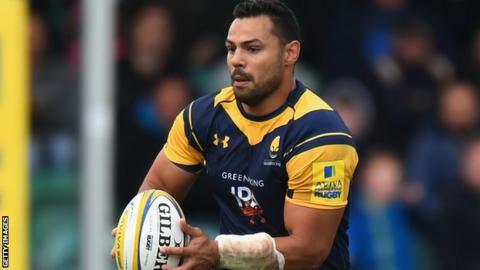 Worcester centre Ben Te'o is likely to miss England's autumn internationals after picking up an ankle injury which may rule him out for at least a month. The 30-year-old suffered a high ankle sprain during Warriors' Challenge Cup win over Brive at Sixways on Saturday. England face Argentina on 11 November before Tests against Australia and Samoa on 18 and 25 November. "Ben has unfortunately got a syndesmosis injury of his ankle," said Worcester coach Carl Hogg. "He's being assessed and will head back down to Cardiff on Monday to see whether he'll go down a surgical route or whether it'll be managed conservatively. Te'o has played in eight Tests previously for England, who are also without Saracens number eight Billy Vunipola because of a knee operation and Exeter winger Jack Nowell who has broken his cheekbone.